Andy started selling on Amazon in 2013, and hit 7 figures within the first 8 months. Before starting his Amazon business he worked for the US government in the aerospace industry and ran a 7 figure Android app business. In 2015 he started his first Amazon related SasS (software as a service) that got Amazon sellers reviews. In 2017 he launched Amzblitz, an Amazon product launch and rank company. In 2018, he rolled out SellerSEO, a service dedicated to helping sellers automate and optimize their Amazon businesses. He continues to sell millions on Amazon, and through his coaching and software has helped thousands of Amazon sellers grow their businesses. How Andy started his Android app business and his brush with Google. The story behind Andy’s decision to focus all his energy selling in the Amazon Marketplace. How Andy’s wife helps him do the Amazon side of the business while he does the SEO side. So put on your headphones and join us to learn more about Andy’s journey and success in Amazon. 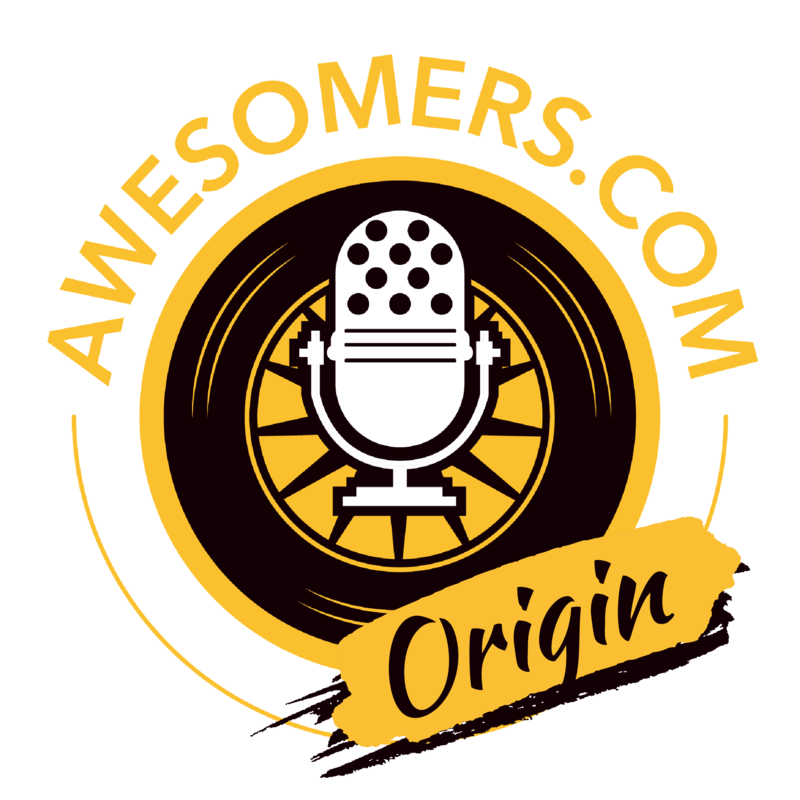 Welcome to the Awesomers.com podcast. If you love to learn and if you're motivated to expand your mind and heck if you desire to break through those traditional paradigms and find your own version of success, you are in the right place. Awesomers around the world are on a journey to improve their lives and the lives of those around them. We believe in paying it forward and we fundamentally try to live up to the great Zig Ziglar quote where he said, "You can have everything in your life you want if you help enough other people get what they want." It doesn't matter where you came from. It only matters where you're going. My name is Steve Simonson and I hope you will join me on this Awesomer journey. If you're launching a new product manufactured in China, you will need professional high-resolution Amazon ready photographs. Because Symo Global has a team of professionals in China, you will oftentimes receive your listing photographs before your product even leaves the country. This streamlined process will save you the time, money and energy needed to concentrate on marketing and other creative content strategies before your item is in stock and ready for sale. Visit SymoGlobal.com to learn more. Because a picture should be worth one thousand keywords. You're listening to the Awesomers podcast. Steve: You are listening to Episode Number 84 in the Awesomers podcast series and all you need to do is run out over to Awesomers.com/84 to find today's show notes and details. Now, our special guest again continuing is Andy Arnott and Andy is joining us for three-part series. This is part two of the three-part series by the way and he's an Amazon seller and a software builder and has really done an awful lot and we're going to dive more to those details about his journey in this episode that you're listening to right now. So, back to the air traffic control. Now, was that high stress and was that something that that you thrived on or did you – did it start to wear on you? What was your experience with that? Andy: I actually worked at a smaller kind of regional airport and it wasn't like – I mean we still did shift work, but we didn't have to work overnight. But yes it was stressful and it was – the funny thing is I equated a lot to if you were ever a server or a bartender you know it's at least at our airport it was very much the same way where you'd be sitting there twiddling your thumbs for an hour and then all of a sudden you'd get 30 airplanes that show up at one time. You got to figure out how to get them on you know two runways, so that was – yes that was interesting. I kind of thrived on it for the most part though. I did a lot of training of the new people coming in once I kind of got established and so that was kind of fun for the most part. Steve: Yes, it comes and goes I'm sure. Steve: Now, would you say that air traffic control is kind of your first proper job out of school? Andy: Yes, it was, it was. Yes. I stuck with it for a long time, which is kind of crazy in this day and age. Most people don't, but you know it was a solid job and it kind of enabled me to be able to still you know pursue my entrepreneurial stuff because it's not a job where you take anything home with you. That was the one great thing about that job is as soon as I walked out of that tower door I was done you know. I wasn't you know unless I was getting a call on Sunday they say hey, somebody called in sick, you need to come work. Andy: Exactly. Exactly, yes. You didn’t – not like being an entrepreneur where you're on 24/7 you know, but that was the only kind of you know the big difference with that job at least is you kind of left it behind as soon as you walked out the door. Steve: So, from then you know thinking about those days until now, was there any defining moment that kind of put you on the path that you're on today from the standpoint of either Amazon seller or the SAS business or whatever? Andy: Yes, I mean it was a culmination of things. You know, I was kind of getting to the point where I wasn't really happy with the job and I just – my passion was with my entrepreneurial stuff. Thankfully for my wife, she was really kind of pushed me into the you know taking the leap and thankfully because I'm so much more happy now and you know I get to make my own hours. I can see my kids. You know, with that job you know I did work on Thanksgiving, Christmas, you know there's no days off in the tower, so that was really really hard. So, I don't miss that either. So, that was kind of the biggest thing and yes, now when I worked for myself completely I mean like I said I've always had side gigs. I've always worked I want to say two or three jobs my entire life. I've always worked you know a lot, but I think since you know going 100% working for myself I don't think I could ever go back to a 9-to-5 job. That would be extremely hard. I mean I would do it of course and you know if I have to feed my kids and that's the only way I could do it, of course I would do it, but not by choice. Andy: Yes, I did. So right before we started the Amazon business, yes I was doing Android apps and the funny thing was as I started building Android apps kind of you know how I said I could kind of foresee and kind of see into the future, before anybody even you know probably it was the first Android phone had just come out and I started learning about it and I had – you know I taught myself to code and things like that and so I kind of figured out you know I can kind of rough my way through you know my first couple Android apps and I did that. I had one of the first solitaire apps on the Android store. So, that was just being the early early mover you know I think I had over a million downloads you know fairly quickly and we're making significant amount of money every day just on app revenue, so that was awesome. Steve: That's a crazy time to remember you know. So, just for those who don't know how apps work, the app probably was some sort of free app that you'd show ads inside of the app, yes? Andy: Yes, yes. So, it would be free and then like in between you know like when you're done playing the game, when you won or lost or whatever then you know sometimes a quick ad would pop up or sometimes you'd have a little bar on the bottom with an app or with an ad, but yes so I’d gotten up to about 30 apps and then one day – this is kind of like an Amazon suspension story you know. One day, I get an email from Google saying “Hey, we've suspended your app account. You can never re-apply. You can never list and app again.” And the reasoning for it was trademark infringement and what had happened is I don't know, do you remember Google Buzz? Andry: It was a long time ago. It was like social that they had tried to release to compete with Twitter and there was no app for it. So, I built what's called a Web Wrapper which literally just makes an icon back and you couldn't even add a website as an icon to the homepage – to your home screen on your phone, so I just built a wrapper and so people would launch that site very easily. Well, I built that years prior. It was in my account. I even forgot about it and so I got – we got this email one day and needless to say you know going from multiple six figures a year to zero in one day is pretty much a punch in the gut. So, that's kind of when we started looking at Amazon and kind of focusing, turning our focus on Amazon. Steve: Well, that's a definitely defining moment. Steve: You know, I'm not a fan of the capricious and arbitrary way that these big companies make excuses, right. Andy: Absolutely. It's so and the worst part is is you can't even get on the phone with the person. I mean – because I mean, the funny thing is my brother-in-law used to work for Google, so it's even more frustrating. But you can't even get on the phone and say hey, like this is what I did. You can see I was doing nothing. You know there's – nothing nefarious here. I was trying to help you in a way help your users out, access your service. You know, I understand that I'll never do it again you know and not even a warning. I mean that was the worst part is at least Amazon gives you multiple warnings before they kick you out. Google is just ruthless and you know it just boots you so. Andy: Do no evil, yes and they got rid of that – they got rid of that in a hurry. Once I always say I lost my love for Google when Eric Schmidt left because he was kind of the guiding light I feel like in that company. Steve: Yes. It definitely had changed. When you see somebody change their slogan from do no evil to you know we'll just, we'll do a thing here or there you know. They definitely have changed and of course they’re juggernaut today. They could buy and sell us wholesale many times over. That's just the way it is in a big company, but again they miss out you know presumably there's a bunch of users of your apps that basically got orphaned. Andy: Right, right, yes, yes. And it's crazy. It's you know it's one thing if I was like you know trying to say I'm Google and I’m trying to steal users or if they had a competing app or you know if it was you know malicious in any way I can see that, but I mean yes, I mean what I did was – and the pun that the crime did not match the punishment, just banned that one app and email me and say hey, don't list anything with any Google trademarks in it ever again. I would have said no problem, that thing was a piece of crap anyway. Andy: Yes absolutely, yes absolutely. Steve: It's unfortunate, but I think a lot of Amazon sellers or those who used to – E-commerce guys in general who used to say oh you know we used to rock the SEO on Google and now we've got this flurry of animals that are destroying our lives, we see these big changes happen. We have to be prepared for them and be able to adapt and it sounds like that's what you did. Andy: Yes, absolutely, yes. So, I mean that's kind of when we turned all our energy to Amazon. It was right when my first son was born too, so my wife wanted to stay home and didn't want to do her 9-to-5 anymore, so that's kind of how I initially started the business was kind of to supplement her income and then yes, it just took off so. Steve: Yes. So, tell us about that time because that's still pretty early. Most people that are involved with selling on Amazon Marketplace they have a general feeling that this all started in the last three or four years, but you've been doing it since 2012 I heard you say. Andy: Yes, end of 2012, beginning of 2013, yes. Yes, it's right around when the amazing guys got started. That's why I always kick myself like man I should have started teaching people. Steve: Yes, right. They have done a nice job. Andy: They have. They have, but yes so yes I just I saw an opportunity there and I started reading about it. I haven’t heard about Amazon for a couple of years and you know what I tell you know because I try to help a lot of people these days you know on Facebook and stuff. I have a fairly decent-sized following and you know people will write me on messenger. I mean but that thing pings all day long and I'm busy, but I always try to get back to them because I remember being you know starting any business you have this kind of feeling of being in the dark and you know something that's actually really simple you get stuck on and so I keep trying to you know tell people like you're going to – Amazon is a lot easier than you think it is. It just sounds hard because of what you've been – what you've heard or what you've you know your preconceived notions are, things like that. I mean nowadays it's like between podcast, YouTube, you know Facebook groups, all these things. There's so many resources out there now, which is kind of funny that's why when people like well it's so much easier when you started, I was like yes and no. It was easier. There was a lot less competition, but there was zero – I mean the amazing guy you know dot com guys are starting right then too. I couldn't you know buy the ASM program and learn how to do it from A to Z. You know, I had to learn from scratch and figure it out as I went, but in the end that was a blessing because now you know I kind of feel like I can you know – Amazon A to Z, I feel like I've kind of got Amazon from A to Z right now when it comes to kind of all facets of Amazon and so now I can kind of help other people so. Steve: Without sponsors this show wouldn't exist, so let's take a quick break right now and listen to one of those very important sponsors. Empowery, the name says it all. Connecting E-commerce entrepreneurs with great people, ideas, systems and the services needed to sustain business dynamic into growth. Empowery is a network; a cooperative venture of tools and resources to make you better at what you do. Because we love what you do. We are you. Visit Empowery.com to learn more. Steve: Well, it is a journey you know and over time you develop that experience and so forth and this is the thing I tell folks especially when they're starting out. First of all, they're going to hear a lot of little chatter, a lot of people talking about this or that especially on Facebook groups. Steve: I see it almost every day. I'm sure you do see this stuff where they're like oh is the FBA business model dead? Is private label dead, right? Is SEO – everybody is – everything is always dead and it's like if you want to really ask that question seriously just move along. Go do something else. I don’t have time for it anymore. The reality is it's never – you know there's a difference between simple and easy right. Steve: The concept is simple. The execute is much more difficult you know. Steve: You're still getting stuff done. Andy: Yes, I am I am I am, yes. You're kind of right too. Steve: It's really a valuable insight and I think an important point for Awesomers out there to take particular note of. You know, self-imposed limitations are a dime a dozen. They're really easy to come by. Steve: And all we have to do is just you know find a way to solve them and for those Awesomers who have listened, I think it's Awesomers.com/18 is the strengths-based leadership and this is a very important point because Andy talked about this. That he's execution is not necessarily in the heart of his strengths, but he had to have people around him that were good at executing to be able to pull it off and that's kind of how I do stuff is I'm not good at execution. I'm kind of the idea guy and I'm you know the you know big idea and big problem. They often say that I walk into the conference room, I drop off a hand grenade and then I leave the room. That's one of my ideas right. And so they have to kind of pick up the pieces and figure out how to make it all work. Do you find that you have team members who are able to help you get the job done? Andy: Well, so that's the other thing that you know I can't remember which. I was listening to one of your previous podcasts, but that was one of the other things that I found is another weakness of mine is delegating. You know, I always want my hands on everything to make sure it's perfect and things like that so in the last couple of months I've been getting a lot better at that too. So, I'm actually building yes a team that's kind of like you're saying where you know I tell them go and do this and come back to me when you're done and then I'll give it a thumbs up or thumbs down, you know that delegation is a huge part and that's once you realize that that's when you actually start to grow your business so. Steve: Yes. So, I talk often about this concept of strategy, systems and scale right. So, strategy is having something worth pursuing to begin with. If you decide you're going to be the world's largest buggy whip sales guy, yes you can do it, you can do anything, but maybe that's not the best strategy today. Steve: Once you have that strategy then you need to apply systems and some of the things that you're talking about with your tools and we'll be sure we have the links in the show notes and everything so make it easy on folks, but your tools are to create systems to make things easier right, so you can launch rank and so on and so forth. So, those systems are important. The fundamental truth about scale, the third component there is scale relies on people at the end of the day. There are very few companies that have hit massive success without involving people and being able to understand how to find the good people, how to retain the good people and then of course how to delegate and manage those people, that all requires learning and it takes a little bit of time, but in today's world it's way easier than it used to be. Have you have you started to engage with you know people in a virtual way you know outside of your own office? Andy: Oh, yes, yes, absolutely, yes. Majority of our staff is virtual, so you know yes, I mean we have developers and we have one in China, we have one in India, we have one in Arizona, I mean we have – you know we're all over. We have some people in the U.S. Yes, so it's kind of all over the place. Now, one thing I did mention is my wife of course I mentioned that you know we started it because of her, but she's kind of the –she's the getting things done person in the background. She's not too much into the SEO business, but she's in the Amazon business very much. So, she does you know the stuff that I hate bless her soul like you know inventory and you know if we ship stuff to FBA from our own warehouse, she's doing that. She's doing any of the seller-fulfilled stuff. Steve: Yes, so you know there's your execution person right there. Andy: She does. She's a – yes. I'm more of the kind of quiet, introverted you know guy with ideas. She's the getting things done, you know nothing stands in her way kind of person, so yes. She's definitely the driving force behind all that stuff so. Steve: Again, this is a very important kind of combination. I was just at an event here in Austin. It's really busy and packed week in Austin. Every single day and night we had things to do. And one of the folks that I met at a dinner party, she was saying you know what, I'm just an extraordinary number two right. I don't have the big idea, but somebody who tease up that big idea, I will go and I will get that job done. I will build a team around it. I'll do it on a cost-effective basis right. She is like the world best execution person in her mind. She could take the idea and make it go and man oh man is that – you know that is something all of us would be thrilled to have in our organizations I think. Andy: Well, she's super passionate about real estate, so she's just about to get a real estate license and she's been – she's extremely passionate about it. So, I'm excited to see what she comes up with. She wants to do the buying and flipping and all those kinds of things so and you know a lot of people you know they’ll watch the HGTV shows and be like oh we’ll do that. The funny thing is is both or the last house that we owned our realtor to the state said it was the worst house he's ever seen and we completely fixed it up and made a huge amount, you know flipped it made a ton of money and then upgrade it and upgrade it you know, so we've kind of got the experience doing that just we've never done it for other people. So, that's going to be kind of exciting and it's also funny again because she's the person who likes to put on the tool belt and you know do all that kind of stuff and I'm like okay, enjoy that I'll be inside here you know working on my software. Steve: That's hilarious. That realtor probably could use a little bit of a softening of the sales pitch and this is the worst house I've ever seen. Andy: Yes. He was trying to do us a favor. He thought we were crazy because we had never done anything like that before, but it's just like with entrepreneurialism you know if you get thrown to the fire, you figure it out. And that's what you know people always have this fear about getting into something. You figure it out. With YouTube nowadays, I mean I was on YouTube figuring out how to do plumbing, how to do electrical, how to install a ceiling fan. I can do anything. Yes, I can pretty much do anything now. So when it comes to you know being in a house and making repairs and doing things like that so. Steve: It’s good point about you know kind of Awesomers will find a way, Normies who think that they're protecting us right. They're trying to help us, often friends, family, close people to us, they think they're helping us by steering us a certain way, so no disrespect to them, but you know Awesomers want to take the adventure. Awesomers want to kind of take the risk and even if we're scared we kind of do it anyway and that's a pretty defining thing. So, I definitely salute what you've done there. We're going to take another quick break. When we come back, we're going to hear maybe the biggest lesson that you've learned, maybe even a couple of other tidbits and perhaps even a prediction about the future. So, we're going to do that right after this break. Hey Amazon Marketplace professionals, this is Parsimony ERP and we get one question over and over. Can you please tell me exactly what Parsimony does? Well, we'll try but this is only a 30-second spot so we're going to have to hurry. Connect to your Seller Central account and pull all the new orders, enter the orders with all customer data, enter all of the Amazon fees and charges, store them at the item level, generate profit/loss reports at the SKU level, automatically generate income status, handle multiple companies, handle multiple brands, handle multiple currencies, facilitate budgets and forecasts so all customer interactions is in a sophisticated CRM system. Hey you get it. That's Parsimony P-A-R-S-I-M-O-N-Y.COM. Parsimony.com, we've got that. 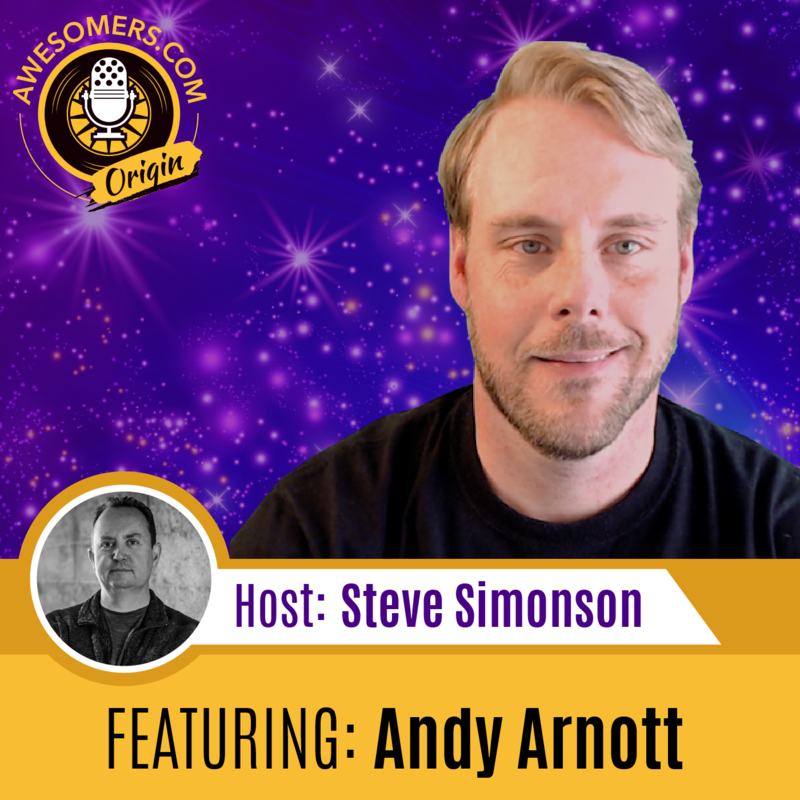 Steve: Once again, great insights and exceptional experiential learnings and observations that Andy has about his journey and I really appreciate Awesomers like Andy sharing their backgrounds and experiences. You know, hearing all the various stories about you know Google and all the problems that ended up happening with a pretty successful app business, it's you know both heartwarming to see him press on and annoyed to see these big companies exert their will willy-nilly. I dislike that type of big company mentality, but as always he's hopped up and carried on. That resilience is something I always respect and appreciate. Now, let's not forget this is part two of a three-part series with Andy. You're not going to want to miss tomorrow's episode. That's part number three for those doing the math at home, I'll just help you out there. Part number three coming up tomorrow. This has been Episode Number 84 today on the Awesomers podcast series and just jump on over to Awesomers.com/84 to see all of today's show notes and details and perhaps even a link or two that we talked about today.